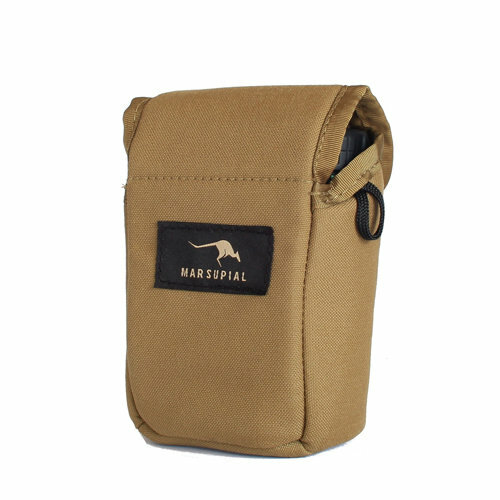 Designed with the same functionality as our Binocular Pack, the Marsupial Gear Rangefinder Pouch utilizes a magnetic fold-down lid. It attaches directly to the Binocular Pack, keeping all of your optics in one place for quick access. Using a snap release 1" structured piece of webbing, the pouch can be attached to any belt or webbing. WARNING: This Product Contains Magnets. Do not use with a pacemaker or any other similar medical device.